The larger of the G4 iBooks, the G4 14" iBook offers many opportunities for upgrades. Maxing out your G4 14" iBook is easy! Using our iBook G4 Ram Installation Guide, you can add up to 1 GB of PC2700 RAM! You can also add plenty of storage space with a massive and fast 5400 RPM 320 GB ATA hard drive. 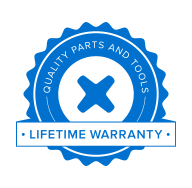 Whatever you may be repairing or upgrading, we offer parts for every occasion!